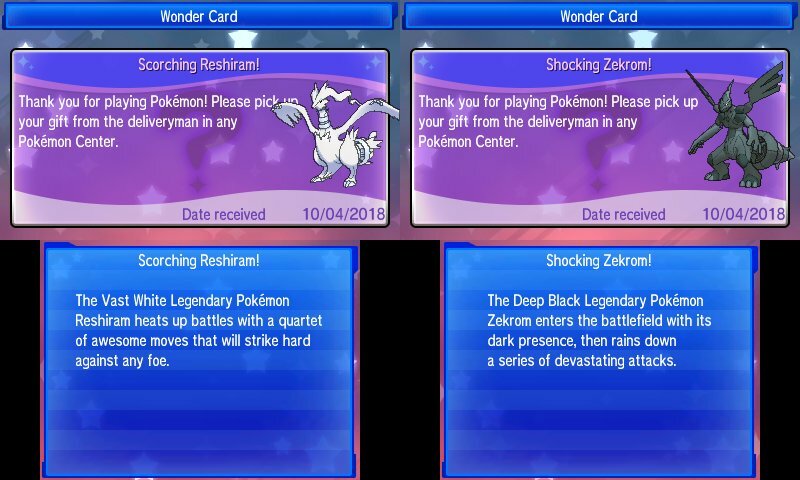 The Year of Legendary Pokemon distributions for Reshiram and Zekrom have kicked off in Europe today. Trainers who own a copy of Pokemon Ultra Sun/Ultra Moon or Pokemon Sun/Moon can receive Reshiram and Zekrom by connecting their Nintendo 3DS to the Internet and receiving the Legendary Pokemon via Mystery Gift. If you’re living in the US, you can pick up a code to redeem the Pokemon later this month.